In the market for a good smart watch? But can’t decide between an Apple Watch or a Fitbit? If you are just going to look at price, then the Fitbit smart watch is the one for you. But if you’re looking above the bottom line then the decision becomes all the more complex. Both the Apple watch and the Fitbit are good smart watches but which is the one for you? The decision does not need to be as difficult. Here we look at what both watches have to offer and how all that works for you. Let’s begin first with price as many will look at this first when it comes to buying a good smart watch. Both these smart watches are not going to come cheap. The Apple watch will cost you nearly $400 plus an additional $100 if you want the connectivity to go along with it. Fitbit on the other hand will cost you $270, which is clearly the cheapest from both. So if price is your main criteria then the Fitbit smart watch will be the one for you. Both smart watches have a square face which could possibly be attributable to Apple setting the standard. If you’re one for different color wrist bands, then both come with their choice of color options. The cases of both these smart watches too, comes with their own colors so you can color coordinate the cases with the color of the bands. The design side of the face of the watches is customizable. You can pick from different designs based on your preference of displaying stats more prominently to just seeing the time. This maybe a defining criteria for those looking for fitness tracking. The Fitbit smart watch comes with built in heart rate monitor, which it does continuously, sleep tracking and guided breathing sessions. The Apple watch on the other hand, not only tracks your heart rate but also comes with a wrist based ECG. The wrist based ECG checks your heart’s electrical signals and how it changes with the level of activity you undertake. You can also use this info by showing it to your doctor. Besides having most of the features similar to the Fitbit, the Apple watch also comes with built in accelerometers, which detects a fall when the user takes a tumble. Both watches come with GPS tracking so you know where you’re going on those long morning jogs. Both watches go into various modes while you work out. For example the Fitbit smart watch goes into swim mode while you swim and gives you stats like number of laps, number of strokes and speed. While you run, the Fitbit watch gives other stats and detects when you stop. The Apple watch also does the same. Both are good smart watches, but the Apple watch is clearly the better bet if you’re looking out for more features. But it does come with a hefty price tag too for all those features. In today’s world we have smart TVs, smart phones, smart watches and many more smart devices. One such device is the Apple Watch. Apple watch connects with the iPhone and gives you all your notifications and runs apps. There is a lot that one can do with an Apple Watch. It provides some exciting and amazing features which can help you from your health to even handling your finances. Apple WatchOS 4.0 feature connects with the iOS 11 feature of your iPhone that gives you a quicker access to your daily activities. 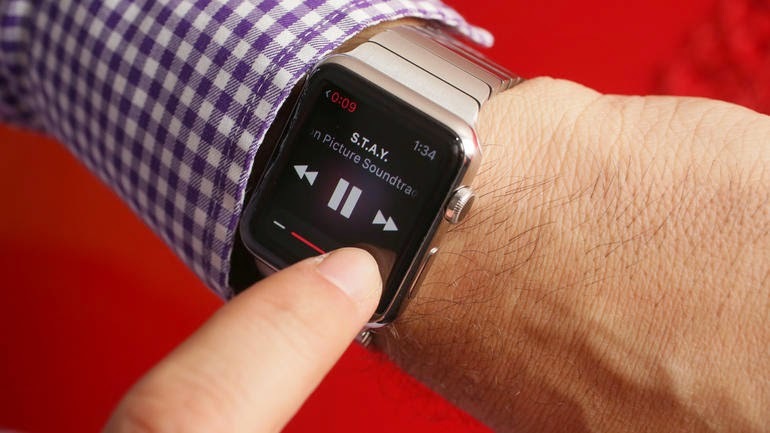 -With an Apple Watch, you can answer a call by using it as a Bluetooth speaker phone. This becomes very useful when your hands are busy while working on a project. With the latest Apple Watch Series 3 that has LTE, one can make calls without your iPhone nearby. - The Apple Watch Series 2 comes with a built-in GPS enabling you to track your runs. One can keep a track on the distance, speed and pace while running, walking or cycling. Your heart rate can be monitored with the help of sensors on the back of the Apple Watch. The data is stored in the Apple Health app on your iPhone. -The Apple Watch has a dock of recent apps and information. With the Apple Watch dock you get a faster access to information. -The Apple Watch helps you to stay in touch via messaging without actually taking out your iPhone. 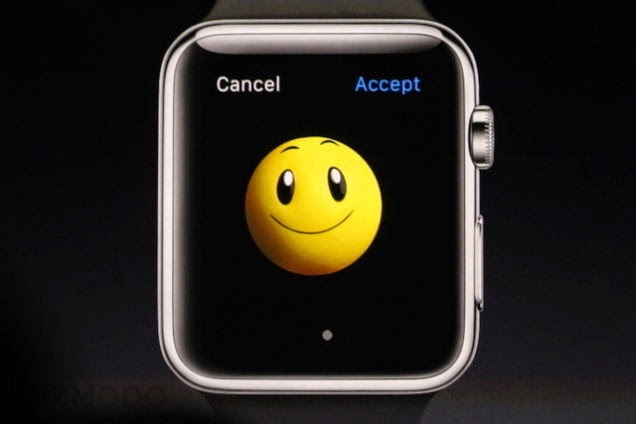 You can receive messages on your watch itself and reply with emojis, coined messages or with your voice. -All your iPhone notifications can be displayed on your Apple Watch. These notifications can be controlled or configured keeping it to a minimum. -With the help of the Apple Watch app on your iPhone you can add Apple Pay your Apple Watch. To make payments via Apple Pay double click the button below the crown to gain access to the Apple Pay app. -You can use Siri on your Apple Watch. Some of the Siri features work only when you unlock your iPhone or switch to your iPhone. Siri can reply back to you with the Apple Watch Series 3 and there is no need to look at your watch. In case you want to sell your Apple Watch, fix a problem, refresh your device or free up space from your internal storage, you may need to reset your Apple Watch. You should manually make a backup of all your data even though Apple may do it for you before you reset your Apple Watch. Those who have the Apple Watch Series 3 with LTE and have a data plan may have to reconnect the link through the network provider since resetting the watch can break the link. In the first place you need to hold your Apple Watch near the iPhone that has been paired with the watch. Press the Watch app on your phone. There will be a menu below with an orange “i” next to the icon. Another menu below will appear. Click on the “Unpair Apple Watch” that appears in bright red. A warning will be given telling you that all your data will be lost if you go ahead with the “Unpair Apple Watch”. You will be asked your Apple ID password to continue. The disconnecting process will start and may take about 10 minutes. The Apple Watch will lose all the data and your iPhone will also be disconnected. To reset the Apple Watch you need to erase your data. You then have to go to the Settings app on your watch and select Erase All Content and Settings. When clicking on the Erase All, the entire data is deleted and the Apple Watch is reset with the factory settings. The Apple Watch Series 1 and Apple Watch Series 3 are currently selling in stores. The Series 3 is water resistant with an upgraded processor and built-in GPS. The Sport edition of the Series 1 is priced at $249 and the Apple Watch Series 3 is $329 for the 38mm face Sport version and $359 for the 42mm face Sport version. The Apple Watch Series 3 is available in stores. Macmyth.com has looked at the new Cellular version with LTE. Here comes the first practical impression! The Apple Watch Series 3 looks good on the paper: GPS sensor, barometer, pulse sensor, eSIM card. The operating system offers more fitness functions and a new Siri interface is really awesome. Visually nothing has happened compared to the predecessor, the processor is brighter. The battery life disappointed. On this day, Apple fans have waited: the 22nd of September. From then on there are the iPhone 8 models to buy - and the Apple Watch Series 3. The fresh watch closely resembles the previous model Series 2, only this time comes as a "Cellular" variant with eSIM. In Europe the mobile radio mode works only exclusively with the Telekom. Why this is so and how the Series 3 hits in the first practice test - read on! The Apple Watch Series 3 comes in two versions: "GPS" and "GPS + Cellular". In the Cellular equipment, Apple has fixed a SIM card, which makes LTE and UMTS connections without smartphone - as with the iPad. In this way, users can make calls without the iPhone, stream music over Apple Music, and answer messages. In the practice test it was shown: As soon as WLAN or the Bluetooth connection to the smartphone is available, the Watch uses this connection. Thus, it only accesses the network independently if it is its only option. This is a good thing: the LTE connection gnaws properly on the battery. Other testers complained about problems with the telephone connection - here everything worked smoothly in the MACMYTH.COM practice test. The only drawback: With SMS the watch showed a non-notified message, although they arrived at the receiver. With the eSIM, the Apple Watch is more independent of the smartphone than its predecessors. However, the usage scenarios for the mobile data connection are limited; a possible situation is about a jogging round. Internet is then used to stream music or the emergency call. Already the Apple indicated recharge time is small. Other smartwatches plague this problem, some of which are now two or three days. To use eSIM, you need a tariff. The Apple Watch Series 3 "GPS + Cellular" does not work with any provider and not in every country. In Europe, for example, this is only offered by Telekom for its mobile customers. Reason: Telekom is here the only provider, the eSIM maps programmed. The required multi-SIM tariff at the Telekom costs depending on the mobile phone tariff up to 4.95 euros. For the first six months, telecom customers use the eSIM of the Apple Watch free of charge if they bought the device there. The tariff is booked online in the customer center or by hotline. Then the Telekom sends the QR link by mail and clears it in the online customer center. You will find the link under My contracts. Then click on the handy number with which you want to connect the SIM, scroll to My SIM cards, and click the activation code under Multi-SIM. Apple Watch and iPhone ask during setup for this QR link. To use the Apple Watch 3 with the eSIM you will have to store a profile on it. Apple points out that when you set up the AppleWatch for the first time, you are prompted to enter a code from the vendor. The prices for the Apple Watch Series 3 with GPS and Cellular start at 449 euros with aluminum case and sports or sports loop bracelet. If you decide to buy a stainless steel case, you have at least 749 euros. The Nike special models are available from 449 euros. And if you would like it to be exclusive, you can access the Hermes edition, which starts at 1299 euros. If you decide for the ceramic housing, which is now also available in gray, you pay 1399 euros. One would often wonder if they tend to get good sleep and though Apple Watch can track steps, heart rate, time that is spent standing etc. it does not do sleep tracking. Sleep tracking has become one of the essential requested features for Apple Watch though Apple has yet to implement a solution. This has not stopped developers from developing their own watchOS app in doing the same and there are several third party apps which could do the needful. To start off you could turn off the Wake Screen on Wrist Raise feature that can be done by pressing the crown and then tap General > Wake Screen. This needs to be done each night and thereafter re-enable it once again in the morning. The battery problem seems to be a difficult to manage. This can be sorted by getting it charged first thing on waking up in the morning and it could get charged while you take your shower, have your breakfast and get ready to set to work. A span of 30 minutes charging could be quite adequate for the next 24 hours off operation. Another option would be considering charging while one would be getting ready for bed or reading etc. and one should not forget charging before falling off to sleep. Tracking your sleep would mean wearing your watch in bed which could be pretty uncomfortable. One of the most known apps for sleep tracking with Apple Watch is the AutoSleep which enables you to track your sleep in two different methods. To get started with this all that is needed is to download the AutoSleep app from the App Store and feed in some of your basic details. But AutoSleep tends to work even if one does not seem to wear it some nights. When this seems to occur, it begins tracking the hours instantly as you put the watch on the charger and then stops when the watch is back on in the morning or when the phone is first used. Though it is just time tracking, the real advantage is from wearing your watch. When the watch is worn, the app tends to measure the sleep hours together with the quality, restlessness, heart rate and much more. It then presents the data collected utilising Apple Health-style visuals. Another benefit is a `smart’ alarm which tends to wake you when the app seems to sense you are in a light sleep phase, as against your bedside alarm which might struggle you from a deep sleep. 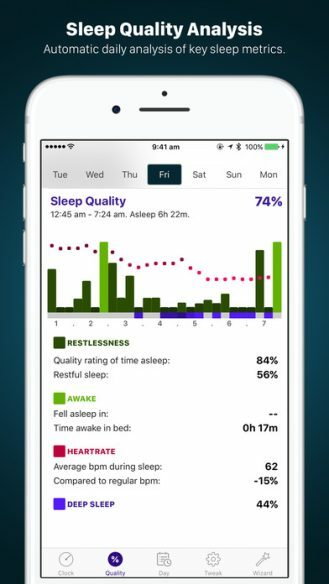 Sleep Watch tends to manage the basics – sleep tracking heart rate reporting and much more though seems to waver a little in the depth together with the performance of data. The Sleep Activity graph for instance, utilises a series of gradated band to specify the restless versus restful sleep and is not mainly instinctive to view it. When it is tapped, presuming probably one would get expanded or more detailed date, the app tends to pop up a lengthy text description of the graph. Besides that, there is also a part known as 3-Day Sleep charge which is presented as a `fun way of tracking your sleep debt’. However most of the sleep experts are of the belief that you cannot `catch-up’ on lost sleep and that it is better to get the same amount of sleep each night. Hence the very concept of this feature is said to be a flaw. Apple Watch is here to stay and it has been made clear a while ago by the Apple even though the smartwatch industry going through the dull phase. Apple has exclusively rolled out update for developers with WatchOS 3.0 wherein it has enhanced the support for Siri along with the amazing Theatre Mode. Let’s talk about smartwatch market at first which is growing at a very low rate with continuous downfall in shipments with each passing quarter some industry analyst are predicting that the bubble is about to bust. 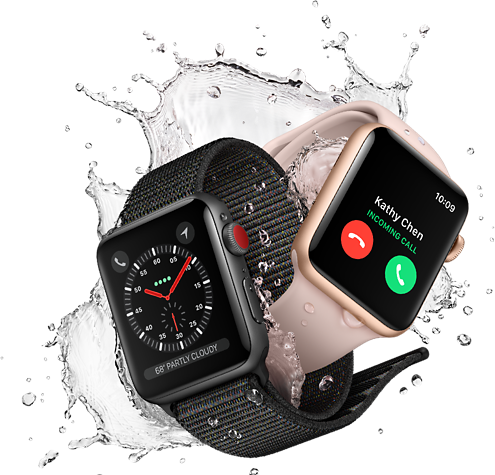 However Apple standing the smartwatch category is special as it controls both the hardware and software division which ensures its devices gets best of features, security along with longer support than other devices. Apple is getting stiff competition when it comes to innovation by Microsoft with the launch of the Windows 10 Continuum model in 2016. Currently Siri support has been expanded to the iOS, MAC, Apple TV as well as Watch. Apple is bringing the new SiriKit to the developers with this new update which will open the possibility for the SmartWatch to interact with a number of third party apps and executes a number of following commands. In short developers will be able to run thirds party apps such as can booking apps and book a cab on the go right from their Apple Watch. Siri will become smarter than ever before as it will be able to write down messages, take takes for booking a cab proactively as well as do other needful tasks by accessing varied apps on the watch apart from the default apps. Apple official website gives more insight into the enhanced features in Siri which includes searching through photos, making digital payments, calling, messaging, accessing workouts history through Apple Health app and much more. If you are thinking of watching movies and videos in the exciting fashion by rolling up your sleeves and peering at your wrist then you are simply mistaken. Theatre Mode update doesn’t have to do anything with videos or movies rather its simply puts watch in the silence mode wherein display is turned off and can’t be turned on by wrist movements. 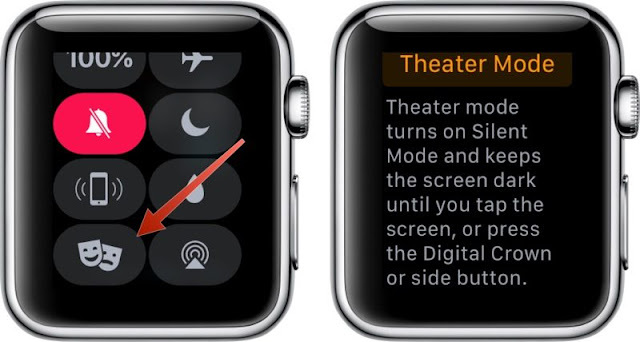 However even in the Theatre Mode Apple Watch will keep receiving notification and users will be able to respond though screen tap or pressing the crown. Quite interestingly this mode first appeared in the Android Wear devices like Moto 360. Some of new features include offsetting the audio files. At the moment users can employ their Apple Watch to control the music being played on their iPhone wherein they can also skip tracks, change volume as well as mark favorites effortlessly. Still users can’t seek from one point in the song to another which is known as offset in technical terminology. Apple is offering such capability right on the smartwatch to make music listening a more interesting and effective fashion. We may already know a great deal about the next iPhone already, however, details of a possible Apple Watch upgrade have been on show by their absence keeping in mind the original model was declared more less two years ago. An investor note sent out by Ming-chi Kuo, a well-connected analyst obtained by Apple insider and Mac Rumors gave us the first clue of what Apple has in hoard. 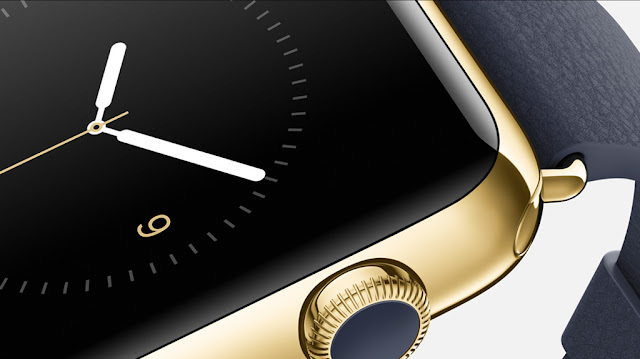 It is believed that for 2016 Apple was planning two new models of the watch. The greater update, called ‘Apple Watch 2’ as of now, will apparently have the same common design as the present watch, but will comprise of new interior mechanisms like a GPS radio, a barometer, a sleeker display and a new and a more rapid, 16nm processor from TSMC. These features demand a greater battery life according to Ming-chi, inhibiting Apple from reducing the device’s dimensions. The second Apple Watch of 2016 won’t have much of an upgrade. According to the note, it will not have Apple Watch 2’s new features, and the built-up design will remain the same with a few updated constituents. It may set a price cut for the series. Also, an additional model having a parallel form factor is anticipated to be launched next year in conjugation with LTE support, if one is waiting for a more significant design renovation, temporarily, Kuo debates that she doesn’t think it will happen up to 2018.In around a month’s time, Apple will possibly hold an event to launch this year’s iPhone. Any new Apple Watch models to be launched will be done at the same event. Rendering to a recent report, Apple Watch is rumoured to come with micro LED panel size varying from one to hundred microns. The production costs of these are higher than that of the OLED panels, and the usage of these could indicate to a slimmer and greater battery competent device. While Apple fans look forward to the next Apple Watch, Cupertino keeps pushing updates to present models. Watch 0S 3 is scheduled to be launched this autumn, proudly publishing rapider app load times all credit to the new ‘dock,’ which can immediately unveil integral and third party programmes. Apple Watch continues to maintain their position at the top for selling smartwatch in the world, data from IDC declared. Apple’s dominance of the market of smartwatch is so solid that if the sale of their devices takes a turn south, it results in a poor quarter for the entire chain. The Enomo’s Elektronista clutch bag is said to be a modern dream of woman. It is encased within the pastel leather with more pockets than one will know what to do with them and a compact battery. One will never have the opportunity of losing anything. It is not manly or old-fashioned and has several pockets as well as device compartments within its glossy, slim frame and the blue hue means that it can be used for weekend excursions without being incompatible against denims. One of the favourite cult designers in the fashion industry has partnered with the biggest technology company in the world and has come up with a fat sensual watch strap. The attractive Chitose Abe of Sacai is perceptive behind the crisp cotton shirts with flowing pleated backs all across the high street why the puffa jacket seems to be having a stylish moment this winter. 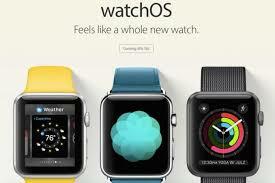 Sacai has now turned out to be the second luxury house after Hermes to assist Apple fashion up its lustrous watch. While Hermes had created a stealth leather addition, Abe has engaged her trademark wit turning the watch into a glossy jewellery piece, black faces which tend to come with customised screensaver front by Abe in order that the screen as well as the strap blends effortlessly into one. The strap is pleasantly coarse, in black, gold or black and silver chain repetition on one side, with crocodile embossed leather on the other side. The inside of the dark, cavernous tote bags is brought to life with a colour-pop iPad sleeve and investing in a leather style would ensure that your case stays punchy for long, which means that it would be easier to find whiledelving through everything in search of one’s gadget. This hard-working case which has the look of a diary, tends to have your iPad mini together with an additional notepad and card slots and seems impeccable in putting together and super-organised for meetings. The Apple Watch from the first day, has been overwhelmed with slow loading time for apps and presently the process goes thus - one can raise their wrist and tap on an app icon, the circular, spinning dots start up and with the wrist raised, on can walk the dog, take out the trash, or take a nap and then the app tends to eventually load. According to Apple, with WatchOS 3, the mostly used apps seem to load seven times faster. The onstage demo of app launching seemed to be inspiring and if it tends to work the same after the WWDC stage, loading the app faster would be making the watch very helpful. Now with the loading of app being much faster, it could be reasonable to have a quicker access to these apps. Apple presently has included an app dock which is similar to MacOS or iOS and you could set some apps to reside in the dock and open the dock quickly on pressing the side button of the watch. On scrolling through the previews of the apps, you could tap on the respective card in launching the app which is much better than using the side button as a shortcut for digital touch. Tracking of activities on the Apple Watch has been remote since the same cannot be shared or the stats sent to family members or friend and to motivate them for improvement. Apple seems to bring friends on the Activity app wherein one can cheer on or trash talks with those on your list of friends based on their regular activity status. Apple has the potential of writing on the watch utilising the finger when at times, one is unable to dictate a message to the watch. Apple has a feature known as Scribble and when it is activated, you can write the message one letter at a time on the screen of the watch. The watch will then identify the handwriting, translating it into text which is ready to be sent as a message. With the launch of WatOS 3 this fall, one will not only have the option of using Apple Pay on tapping your wrist on compatible terminal for payment but also complete purchases directly on your wrist with the help of the app. The procedure of switching between watch faces has been enhanced which needs a simple swipe to the right or left across the prevailing watch face. Besides this, the Apple Watch app on the iPhone would now display the complication an app tends to have which would be helpful in making a purchase decision, on being aware precisely what an app seems capable of doing on the wrist. A health app known as Breathe will alert you to take a moment and breathe and the thinking here is that you take some minutes daily to clear your mind and be more conscious of your breathing to relax and reduce stress levels. Apple has created a wheelchair mode for the Apple Watch and when activated, user would get credit for activity as they move around in a wheelchair. Instead of getting hourly alert to stand up, wheelchair user would be informed that `it’s time to roll’. The first group of Apple Watch is at the tail end of its life as the flagship of Apple wearable and those who tend to purchase it being an Apple product will have it already on their wrist. According to a recent research note from KGI Securities analyst Ming-Chi-Kuo, Apple had sold around 10.6 million units during 2015 and level of sales should not be condemned. Selling ten million of any given product is considered an achievement and there are smartphone manufacturers who cannot generate that level of sales over their total product range besides a single peripheral which needs a parent device to be bought individually. The wearable is following the same pattern of adoption and understanding like the iPad and tends to promise a long and healthy life as a secondary product range. However it is not one that could create the sort of wealth which the iPhone could foster. Even with the launch of the second generation Apple Watch, the estimate of the 2016 is smaller by 7.5 million units in total, a 30% drop on the sales of 2015. This year the slowdown in sale as well as the slower projected adoption of the forthcoming smart-watch indicated that the product profile of the Apple Watch seems to be more in keeping with the iPad instead of the iPhone. 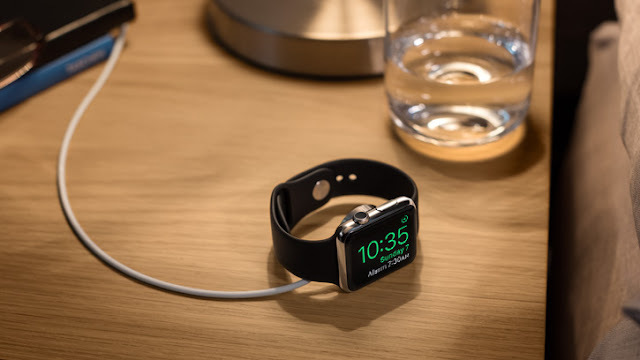 The basic features of the Apple Watch are to deal with notifications from the connected accounts, to tell the time and to provide quick access to short surges of information. Though the Apple Watch 2 is likely to have enhanced hardware, built-in Wi-Fi for standalone connectivity as well as a FaceTime video camera, it will not be changing the basic functionality of the Watch. Beside the hungry geekerati, the package does not provide a convincing reason to upgrade from an impeccably serviceable first-generation Apple Watch. As the users of the first Apple iPad had observed, the marginal gain in the next duplication of the hardware is not sufficient to hide the functionality of the original. Individual Apple Watch will be having a much longer life cycle than the iPhone and it is probably going to match the iPad with regards to hardware turnover as well as importance to Apple’s bottom line, which is a notable contribution though not a driving force. Not every part of hardware could be a home run over the green monster. As it approaches its one year anniversary, the Apple Watch is not the revolutionary product of Tim Cook, it is not a genre defining slice of hardware and it is not going to affect any huge spike in the gross revenue of Apple. However, it tends to join the iPad as another solid, dependable as well as a reliable device that could generate predictable on-going sales all through the year. Some of Apple Watch UI elements seem to be in place like the Home Screen with a network of unlabelled circular icons, while there are other parts of watchOS which have been changed for improvement. For instance, the watchOS 2 has a Nightstand mode which enables the Apple Watch to stay in service as a timepiece while charging. When the Apple Watch is in Nightstand mode and not in use, the display tends to go off. To view the display again, one could tap it and press the Digital Crown or the side button or lightly push the Apple Watch. Tapping or pushing the table could also work. When it is on, a battery indicator towards the upper right area is displayed along with a large digital clock having a pulsing colon with the day of week together with the day of month. If the alarm is set, one will see an alarm icon in the upper left area and an additional line of text towards the bottom of the screen indicating that an alarm has been set for a certain time. The screen tends to change when the alarm goes off and a chime is heard through the Watch’s integrated speaker. Users could take the help of Siri in setting an alarm which can be done by holding the Digital Crown till Siri appears and say `Set an alarm for 6 am’ or `Wake me up at 4 am’. Prior to the start of the alarm in Nightstand mode, the display turns brighter while the text turns yellow. When the alarm begins, the apple Watch makes a sound and to turn off the alarm, the side button could be pressed. WatchOS 2 is in its development stage with 6 or 7 consequent betas to go prior to becoming final in the fall and there seems to be adequate time left for improvement of Nightstand before its release. The main purpose of passcode is to protect information on the device. Forgotten password is a common error committed by users and hence need to be changed frequently which could be different for each service. This could be difficult to remember or recall. However there is no need to panic if one tends to forget their passcode on the new Apple Watch since it would only take a couple of minutes to reset it once again. 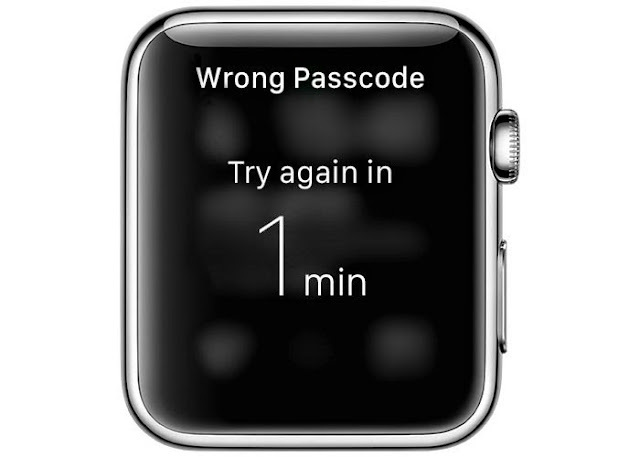 If one enters the wrong passcode on Apple Watch, six times, they tend to get locked out and will find a message prompting them to try again later. Should one forget the passcode, one would need to take a few steps to erase their Apple Watch after which they can pair it with their companions’ device once again and restore from a backup if they tend to have one. Apple finds it essential to create a PIN at the time of initial Apple Watch setup process. The user is asked to enter the code to unlock the watch every time it is taken off the wrist. To reset the watch from a paired iPhone, one should click the Apple Watch app which is on the phone’s home screen and then select General. On scrolling down to the end of the page, one could tap `reset’ and opt for `Erase All Content and Settings’. This would take the watch to the original out of box state though it would mean that everything on it would also get deleted. The brighter side is that the iPhone automatically tends to create a backup of the watch when the same is unpaired on using this method. Once the user is ready to re-pair the same, they can select the` restore from backup’ choice at the time of the setup process. One can reset the watch even though the iPhone is not with the user though they would need the watch’s magnetic charging cable to be nearby. To get started, one could hold and press the side power button of the watch and perform a Force Touch that is the hard press on the Power Off option. Thereafter choose Erase All content and Settings. During this time, the watch needs to be connected to the charger and confirm that one would want to reset the same. It is recommended to use passcode which will not be forgotten easily like a date of an anniversary or birthday. It would also be helpful in making a note of the code on the iPhone or in another secured place. However, the best and easiest option to ensure that the user is not locked out of the Apple Watch, is to enable `the Unlock with iPhone feature’, which would let one unlock the Apple Watch with the iPhone instead of entering the PIN. To enable this feature, the user needs to open the Apple Watch app on the iPhone, select Passcode and toggle the `unlock’ with iPhone switch from `off’ to `on’. It could also be enabled on the Apple Watch directly by going to the Settings, and tapping the Privacy and then slide the switch from `off’ to `on’, position. At its recent `Spring Forward event’Apple had put the watch on display once again and provided some details on the Apple Watch before going on sale on April 24. The Apple Watch has three editions which vary in material and luxury such as the Apple Watch, Apple Watch Sport and the Apple Watch Edition. 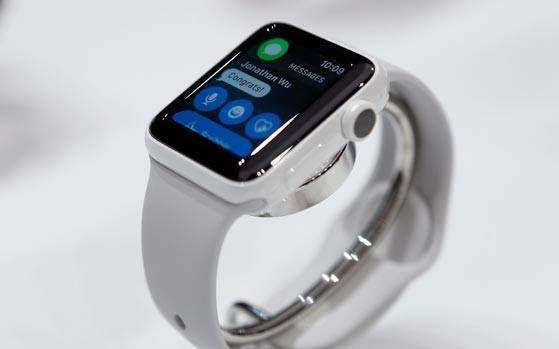 While Apple Watch is of stainless steel with a shiny chrome or a space black finish, its touchscreen is shielded with sapphire crystal which could be scratch resistant than the Gorilla Glass that Apple had used in iPhones. The prices range from $549 and $1,099 subject to purchase of the 38mm or 42mm case and the band. 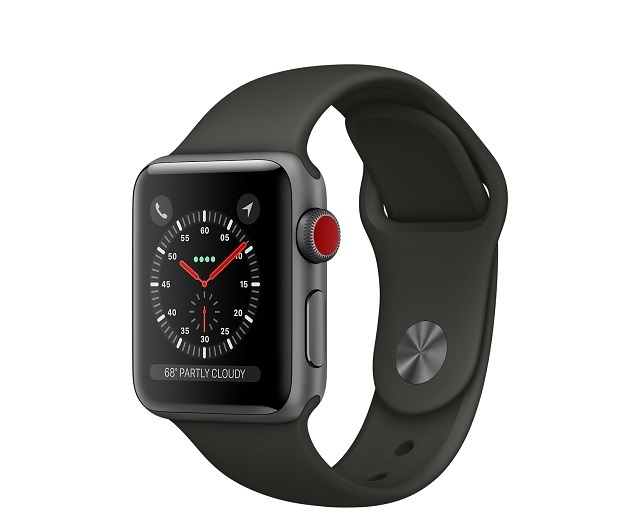 The Apple Watch Sport comes with an anodized aluminum case, much lighter than stainless steel, in a silver or space gray and the face is of Ion-X glass, designed to be hard and rugged than the sapphire and is the lightest of the three editions. This makes it an apt exercise choice and is also the cheapest at $349 for 38mm version while 42mm model is priced at $399. 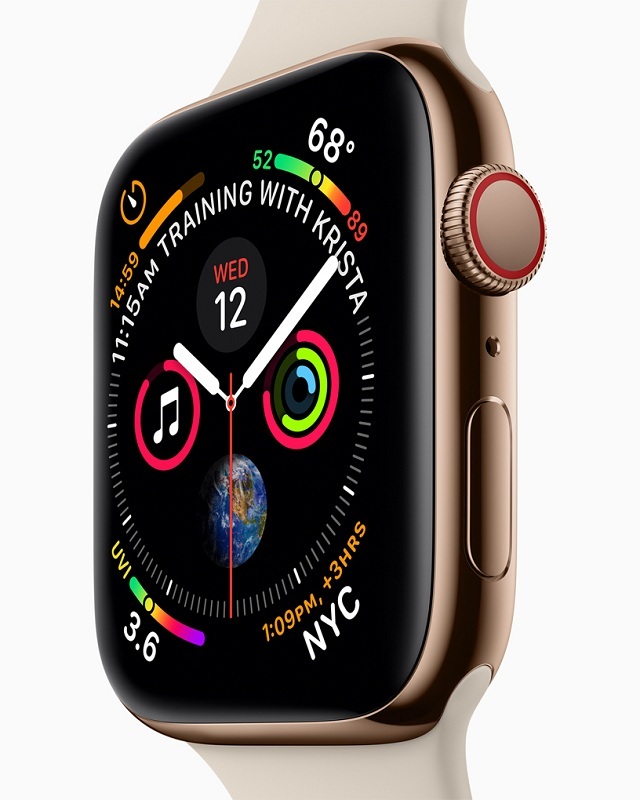 The Apple Watch Edition on the other hand is a luxury with an 18-karat gold casing in rose or yellow, is heavy and has a fancy leather box which doubles as a charging cradle. It also costs as an entry level car varying between $10,000 to $17,000 based on size and the choice of the band. Each edition has come in two sizes which was not envisaged with any Android Wear watches and these are available in heights of 38 and 42 mm around 1.5 and 1.65 inches resp. Apple has declared six bands which will be easy to mix and match with any band with any watch if the band and the watch tend to be of the same size. The Sports Band comes as the default on the Apple Watch Sport and for working out, the sweat resistant elastomer sports band has a black, white, blue, pink and lime green shade with different colours having different weight where black is the lightest. Apple Watch and Watch Edition owners are provided with three leather straps together with two metal straps to choose from and the leather loop is styled to be soft and comfortable having adjustable hidden magnetic closure where one can just wrap the same around the wrist and the straps stay stuck together and remain closed. It comes in stone, light brown and bright blue. The Leather Modern strap is available in pink, brown and midnight blue having two piece magnetic closures with refined texture while the Classic Buckle strap comes in a black leather strap which closes with a stainless steel buckle like the traditional watches seen. The Link Bracelet band is fashioned of stainless steel which closes with a butterfly clasp. Apple had built-in release button on some of the links in order to remove links easily to customize the fit rather than having to take it to a jeweller or the repair shop. This comes with regular stainless steel tone or in space black. 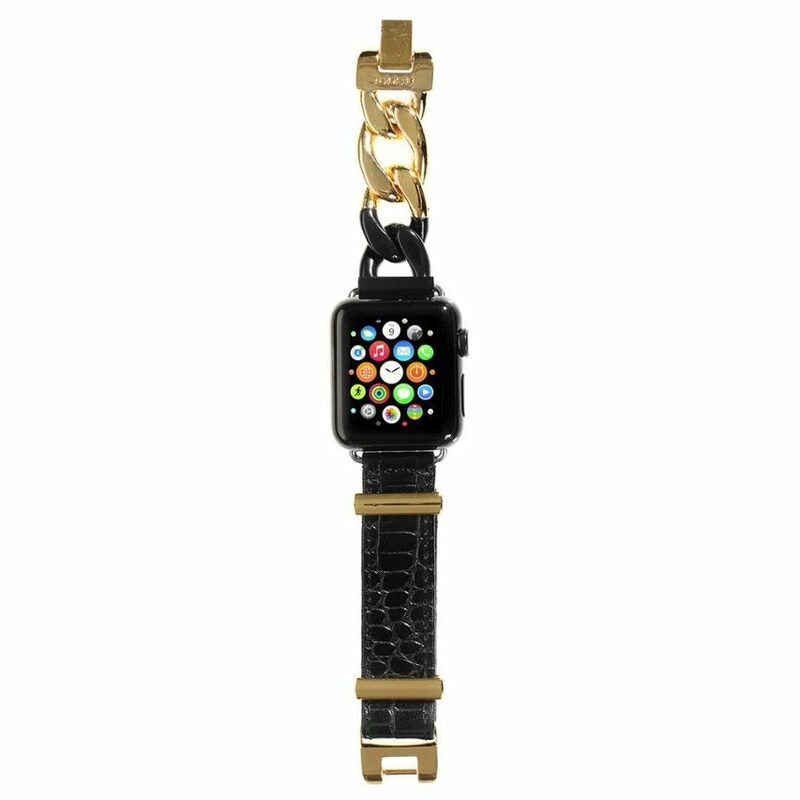 The Milanese Loop band comes with myriad tiny, interlocking loops which resembles chain mail though it seems to be much modern and the stainless steel mesh is magnetic enabling to adjust it to more size than the Link Bracelet. Apple Watch would be shipped on April 24, though pre- orders tend to start on April 10 and on the same day Apple Stores also intend having Watches on hand for trial to get an idea on which combination of case and band to choose from. Users could also check out on the guide in picking the best choice on Apple Watch. The requirement of an iPhone to pair with the Apple Watch is essentialthough it does not need to be a new iPhone 6 or iPhone 6 Plus and an iPhone 5, 5s or 5c could serve the purpose.The Watch according to Apple has a couple of different sensors which include a gyroscope as well as an accelerometer together with a custom sensor which utilises visible light and infrared LEDs with photodiodes on the back of the device in order to define the heart rate. Moreover, it can also talk to the iPhone’s GPS as well as Wi-Fi in figuring out location and other details. The accelerometer enables the watch to count the steps and generalize the distance on its own or on the GPS in the paired iPhone for tracing the accurate route and this data is useful for two of the apps, Activity and Workout, included by Apple on the watch. Apple Watch’s big invention is the dial which sticks out at the side known as the Digital Crown which acts more like the iPod’s clickwheel wherein one can turn the crown to scroll a list or zoom in and out of a map. On pressing, the Crown returns back to the watch’s home screen similar to the Home button on the iPhone. The Apple Watch is an iPhone accessory, though there are a few things which the apple Watch can do without the iPhone in case one tends to leave the phone either at home or in the car and go mobile with the iPhone 5 to iPhone 6 Plus. A few features have been discovered in the Apple Watch though there are only a limited number of things the Apple Watch can do without an iPhone. The storage capacity of Apple Watch is 6.2GB of which 2GB could be used to store music. User can sync music with Apple Watch through the iPhone and Apple Watch app and no Mac or iTunes is needed, though the music should be on your phone in the music app or in iTunes in the Cloud. When the music is synced, the user can listen with a pair of Bluetooth headphone and in the Apple Watch Music app, one need to Force Press to select `Source’ as Apple Watch and once done, the music plays like it plays on an iPod. Apple has two built-in fitness apps known as Workout and Activity where both tend to work away without the aid of the iPhone. One could measure the heart, activity tracks steps, active exercise and the time spent standing and workout enables timed exercise sessions which measures pace heart rate, distance as well as the calories burnt during the various activities and the only thing which cannot be done from the iPhone is tracking walk or run with GPS in which the iPhone is needed. Third party fitness app cannot be used away from the iPhone and all third party app that are not developed by Apple need iPhone connection to operate. Once a credit card for Apple Pay to work on Apple Watch is set, it tends to keep working even when the iPhone is not connected and on a double click of the flat side button, you can tap to pay at any Apple Pay ready store. If the watch is taken off the wrist one would need to enter a passcode to use it once again. Since Apple Pay does not utilise the actual credit card number, one can cancel it from the iPhone and deactivate the Apple Watch’s Apple pay function even when the watch is not active online. The Apple Watch has a small photo album app which can store up to 500 photos from the phone library or iCloud and it is hard to see the images on small screen though it’s a good replacement for the wallet photo. Call scan also be made away from the phone and one can see recent caller and read sent texts. The user could also listen to voice mails. Apple Watch syncs visual voice mail, most of which could be played back on the watch even with Airplane mode turned on and also receive new messages without connecting the phone again and can browse missed connection. It is presumed that someday Apple Watch would use its Wi-Fi antenna in order to get data on its own or pair with other the other devices such as the Apple TV and Macs. Apple has recently included a new feature in the Apple Watch which enables two users to communicate through taps and drawings as well as by sharing their heart rates. The new feature known as Digital Touch enables two Apple Watch users to communicate with one another without the need of texting or calling. Last fall when the company had unveiled its watch it had only provided demo models of the new device – polished prototypes of the hardware running on non-working loops of the software. The company has disclosed that the device would be priced at $350. 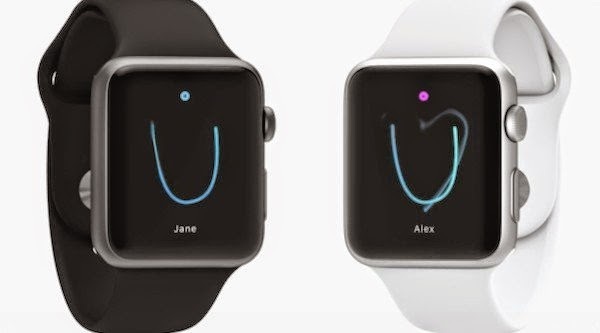 Instead of making any attempts in writing the text message on the small screen, the Digital Touch feature enables two Apple Watch owners to communicate via taps and doodles and once the two users are connected they can start communicating. 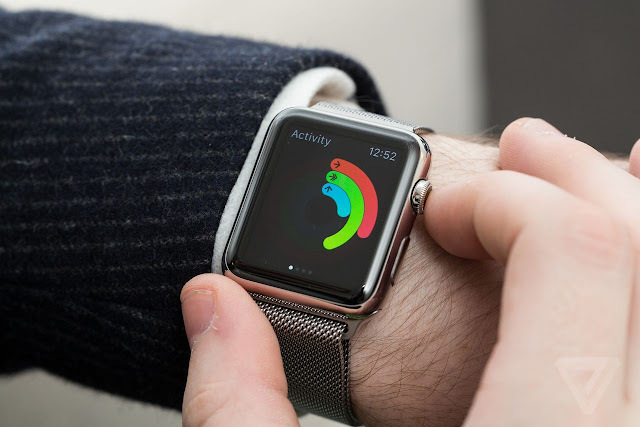 The method which is used first in order to contact a colleague is by tapping the screen on the Apple Watch which is similar to the Poke feature on Facebook. The user can tap a certain patter on the watch face where the friend will be able to feel it on their wrist through mild vibrations. The next method is sketching an animated message which can be done on dragging the finger across the screen to draw a coloured sketch quickly which could be sent across to their friend. Sharing heart rate with others could also be done with the Digital Touch and when one presses two fingers on the screen the built-in heart rate sensor automatically tends to record sending the beats per minute reading to the friend. According to Apple this is `an intimate way to inform someone about their feelings.’ The watch is an interesting creation with its stainless steel middle tier together with the steel mesh Milanese loop wristband and besides being beautiful it is also one of the best looking computers one could have on their wrist. Earlier the company had made a show of the rotating crown on the side of the device, what most of us would call a watch dial and held the crown as the next great interface something as the mouse, the iPods’ click-wheel or the touch screen on the iPhone. It has two main functions. When it is pressed, one gets to the watch’s main screen of apps or if the user is already on that screen, it switches displaying the clock. One could consider the crown as a home button. Moreover, it could also be used for scrolling as well as zooming while in the music app, one could turn it to scroll through the artists. If the user is in the photos app, they could turn the crown to zoom from the various set of photos and focus on an individual one. Scrolling could also be done with the finger on the screen and this method seems to be much faster than the crown where touching and tapping is much easier than turning the dial. Besides the standard taps the screen has another tap mode known as force touch that functions just as it sounds which is press the screen harder. With force touch it provides an extra level of settings in the apps where in the case of force touch an email, one would have the options of deleting, replying or marking them as unread. Yet it is difficult to forget that the watch is a computer for your wrist and in its top end versions it misses the understated elegance of old fashioned high end analog watches and Apple is working on something unusual in trying to develop an electronic device which would match the timeless appeal of a piece of jewellery.